renal tsar's blog: So, what will the reformed NHS really be like? Less than 70 days left to go now until the NHS Commissioning Board assumes control. There is still discussion about senates and networks, uncertainty where some individuals will find themselves working and of course, the whole system is bracing itself for Frances II – the second report by Robert Frances QC on the unforgivable lapses in care at Mid Staffordshire Hospital. Reading the national papers, even the Health Service Journal or the indomitable Roy Lilly’s blog, you might be forgiven for being a bit muddled about how it will all work or indeed will it all work ! Of course, if you are a nurse, doctor, patient, dietitian, carer, and technicians or in some other way involved in receiving or giving care, the world will not look that different this 1st April from last 1st April! There is a lot that is constant in the sea of organisational change. However, the Health and Social Care Act is going affect all of us in the English health system. Therefore, what will the priority be in the coming year? I have given a clue in my first sentence. The 70-days until the 1st April include Saturdays and Sundays. NHS services 7-day a week is on the agenda. To find out what else is, have a listen to David Nicholson. 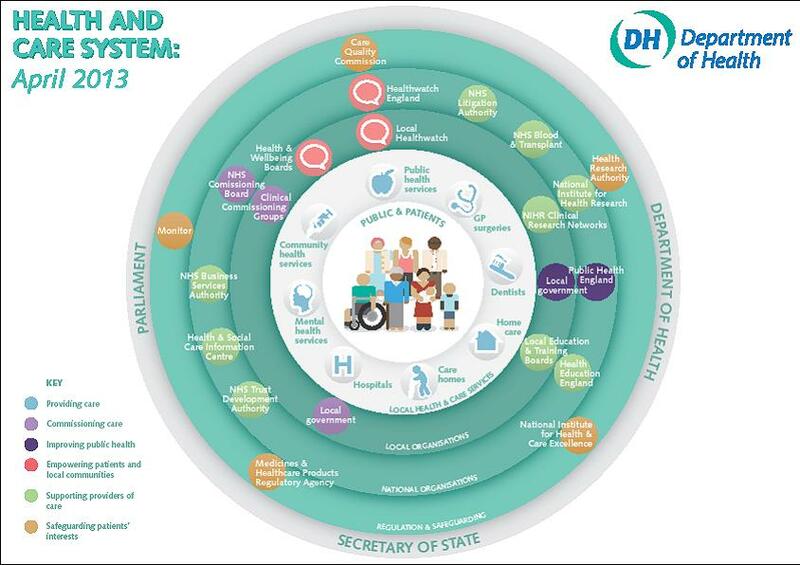 If you do not want to risk missing the wood for the trees , remember our system is based around the outcomes framework; reducing avoidable deaths, improving care for long-term conditions, helping people recover from acute illnesses, radically changing the experience of care and keeping people safe. Add to that the NHS constitution – what are people’s rights, and responsibilities? Moreover, you will have a pretty good idea of what the NHS will look like. David Nicholson makes the point that patients are at the centre of our system, that professional leadership is not just the doctors, it’s everyone in the multi-disciplinary team and that in the information age, data is king.